South Texas Tack is excited to bring you LetsRope.com. Join the community and receive member discounts and special offers. 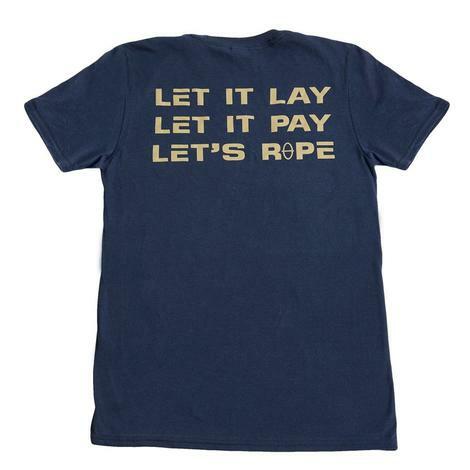 All Let's Rope rewards and gift cards may be redeemed storewide at LetsRope.com and SouthTexasTack.com. With ties to over a century of ranching, working cattle, showing horses, and farming, South Texas Tack is the brand for the highest level of service, selection, and value for the western life. We invite you to enjoy our unique and culture. Shop online and in our store in Brenham, Texas. 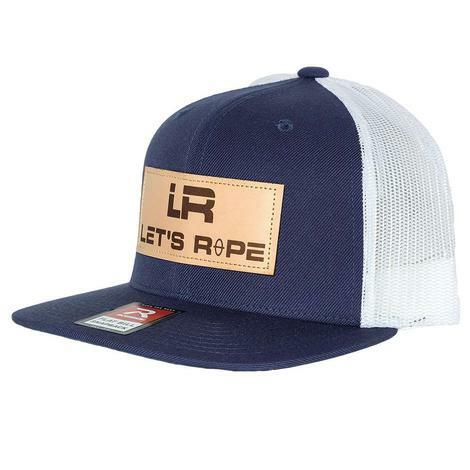 This Let's Rope cap is mint with the LR alphabet logo on the front with Aztec accents. The back is an Aztec mesh that is mint, green and white which provides maximum comfort. Adjustable snap back button closure. 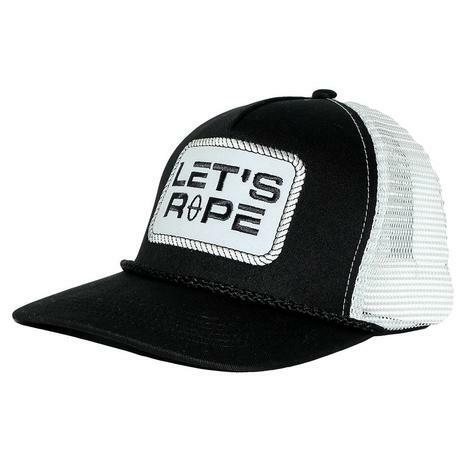 The Let's Rope Black with White mesh back is a classic style for any occasion. Featuring a mesh back and adjustable snap for easy fitting. There is nothing better than a day in the sun having fun, while you're doing your favorite outdoor activities keep your face and eye protected from the bright light of the day. 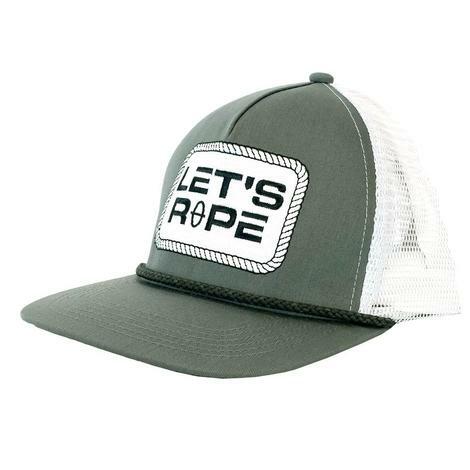 That hat features our Let's Rope white patch logo, a white meshback, and a snap closure. This looks great with a pair of jeans and boots where ever you are! This cap has a navy blue front and bill with a white mesh back that'll help keep your head cool. Adjustable snap closure and Let's Rope logo on leather patch in the front. 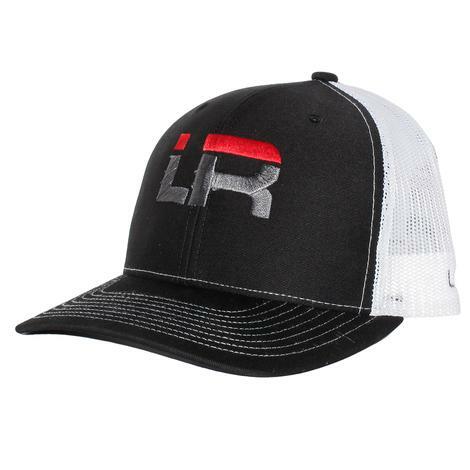 Black trucker style cap with a grey mesh back and Let's Rope red sand white patch on the front. Adjustable snap back button closure for a perfect fit every time you up this on. 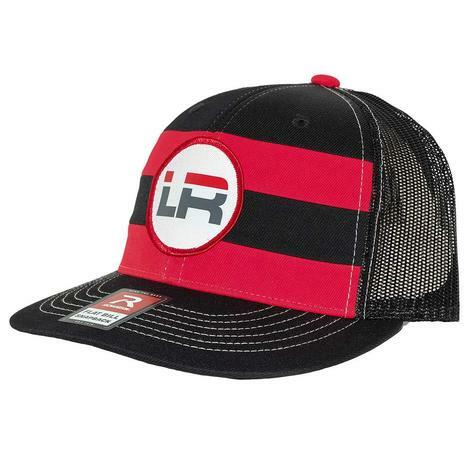 This cap has red and black stripes with white contrast stitching. 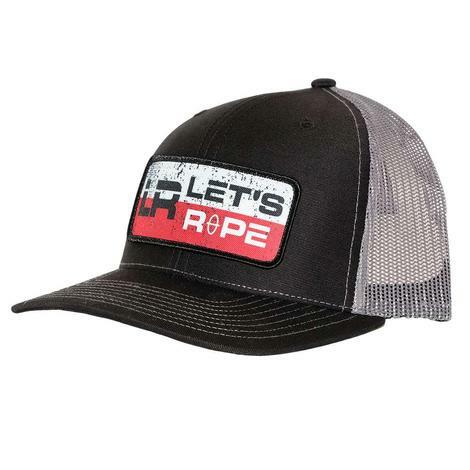 The Let's Rope logo sits front and center and the black mesh back is adjustable for a perfect fit every time. 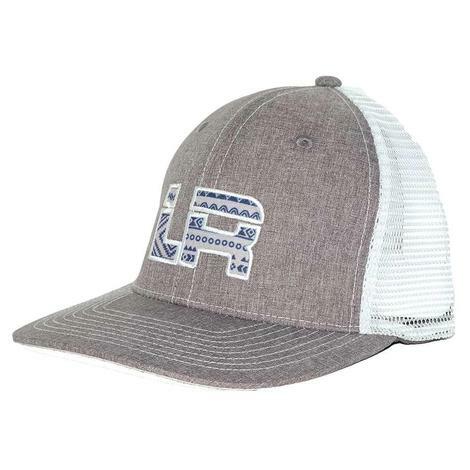 This Let's Rope cap is grey with the LR alphabet logo on the front with Aztec accents. The back is a white mesh that provides maximum comfort. Adjustable snap back button closure. 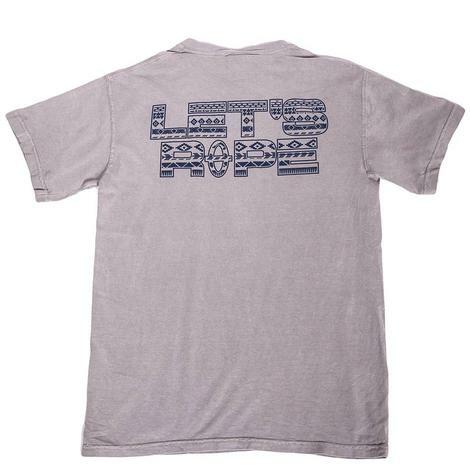 Let's Rope tee has a regular fit with Let's Rope abbreviated on the sleeve and Let's Rope printed across the back. 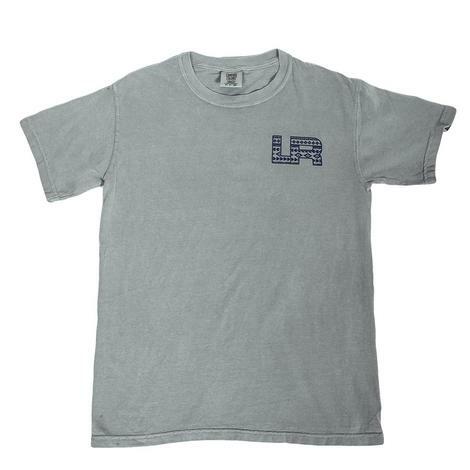 Let's Rope tee has a regular fit with Let's Rope printed on the front and Abbreviated on the sleeve. What a nice sleek looking black cap in a cool mesh back design for warmer days. 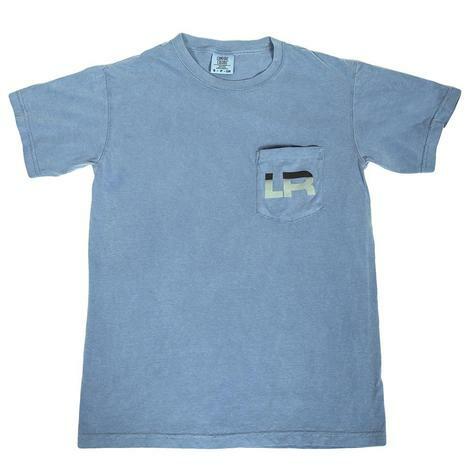 The front side displays a red and grey embroidered LR logo. The back includes an adjustable snapping closure that fits to size. Pick one up at South Texas Tack today. 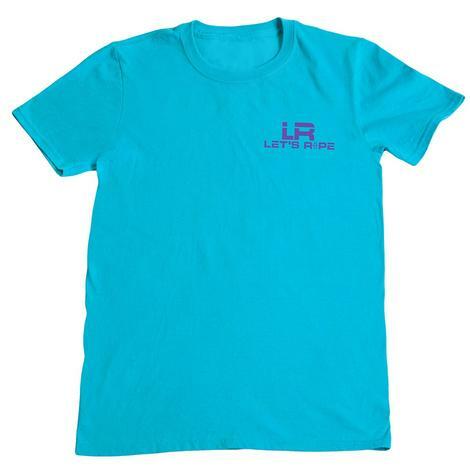 This turquoise shirt features a purple Lets Rope printed logo on the front and "#gethorny Let's Rope" in purple print on the back. 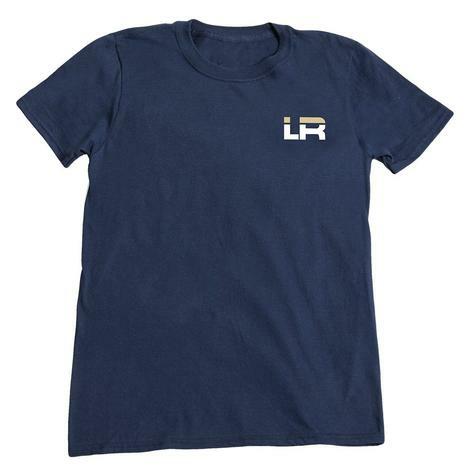 This tee features the Let's Rope logo with gold horns on the front and "Let it lay, let it pay, let's rope" in golden lettering printed on the back. 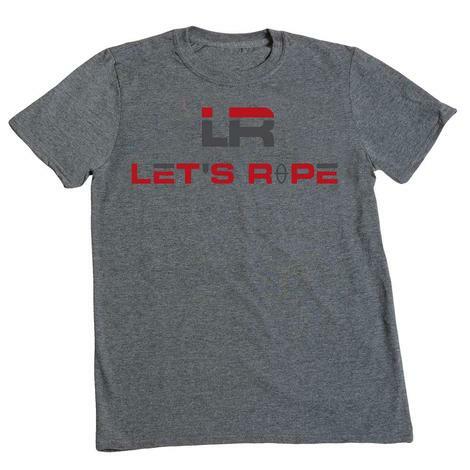 This short sleeve shirt is grey with the Let's Rope logo in red and black on the front. 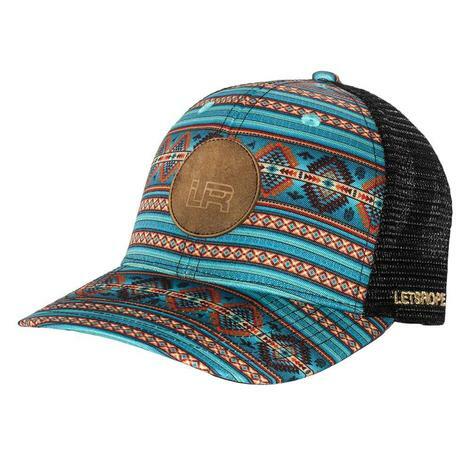 This cap has a multi-colored Aztec inspired screen print on the front and bill with the Lets Rope logo front and center in suede. The black mesh back has a snap back adjustable closure for a perfect fit. 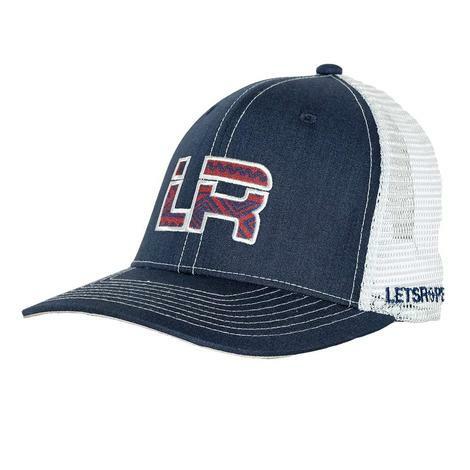 Cap is navy with a white mesh back and adjustable snaps for a perfect fit every time. The Let's Rope alphabet logo sits front and center in a rust color that's sure to grab everyone's attention in the room. Add this one to your collection today! 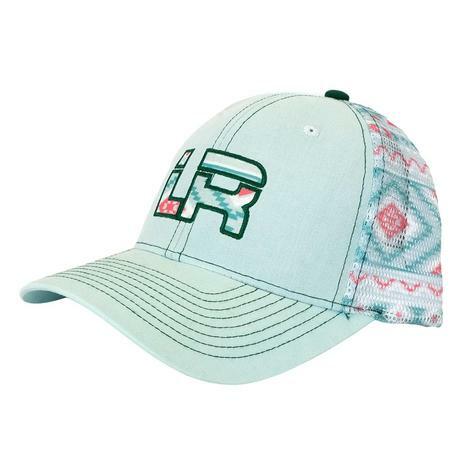 This cap is white with mint and orange print on the front and a leather Let's Rope patch in the center. Adjustable for a great fit every time. 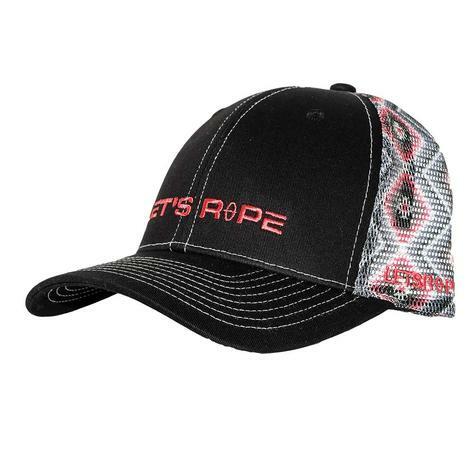 This cap has a black front and bill with Let's Rope embroidery on the front so everyone knows that you only rope with the best! 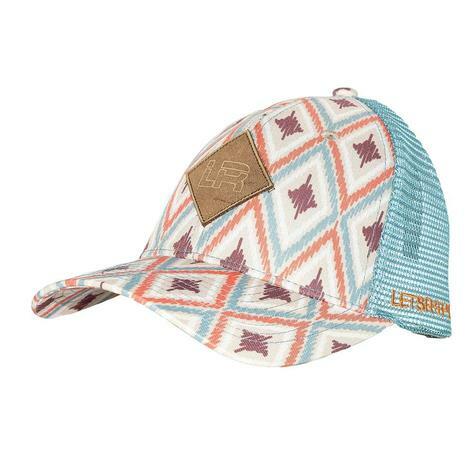 Other features include a Aztec mesh back and adjustable snap back for a perfect fit. 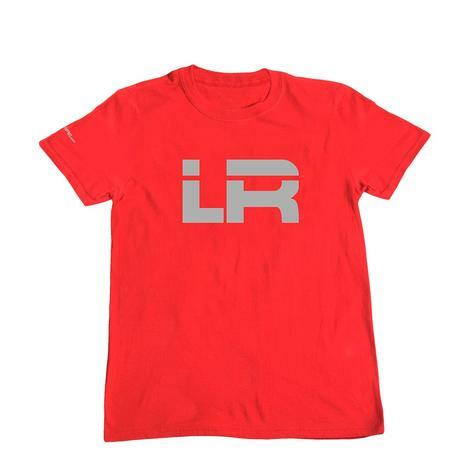 This tee is red with a grey logo print on the front. 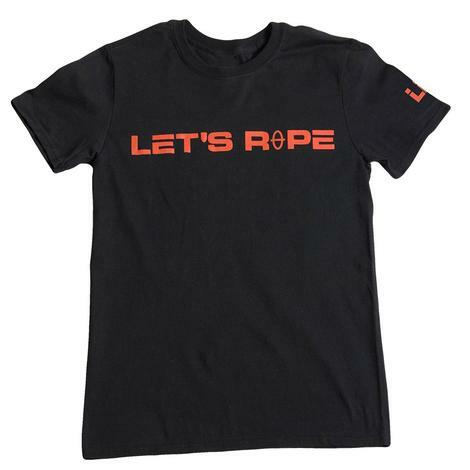 This shirt is black with Let's Rope printed on the front in red and also has the red Logo printed on the shirt sleeve.